From my last month of reviews, it’s clear I like my soup noodles. 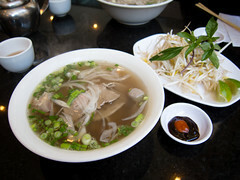 I could slurp down a bowl for every meal and still crave more. Lucky for me, The Hubby almost feels the same. Either way, he’s been indulging me as I drag him to all the GTA noodle shops. Next up, Jim Chai Kee near Highway 7 and Leslie. 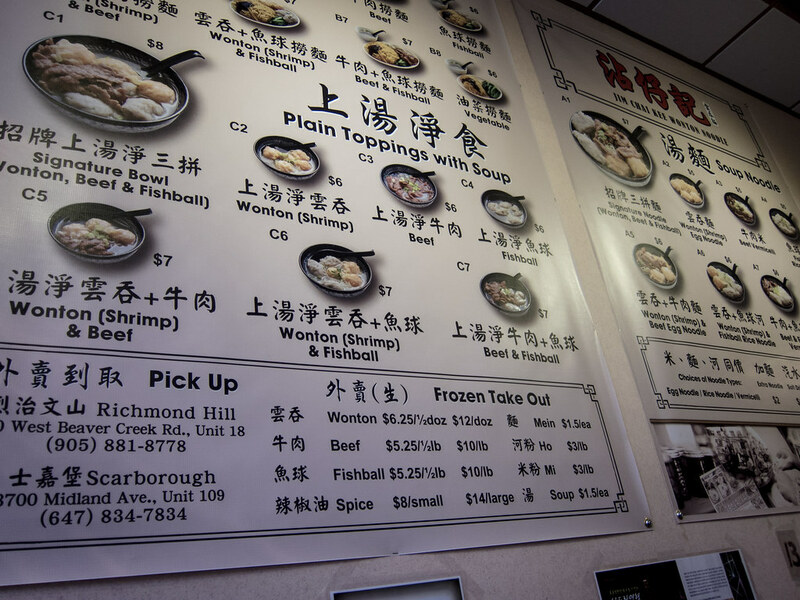 Atmosphere: Based on articles on the restaurant wall, I believe Jim Chai Kee is related to Tsim Chai Kee, a chain in Hong Kong that has been recommended in past Hong Kong Michelin guides. The shop itself was no frills, tables were packed tightly and turn over at a surprisingly fast pace. When we arrived, we took a number from the man at the cash and expected a wait with the groups in front of us. Instead, there was a steady stream of guests leaving and we were seated within 5 minutes. This was the case throughout our meal. 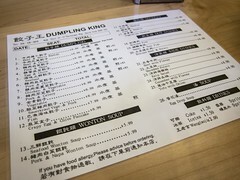 Large posters of their menu were pinned up on both walls. Service: Table service was minimal. Once we were shown to an empty table, laminate menus were already in place (and all over the walls), a server came by to wipe down the table and take our order. Our noodles arrived quickly and we paid at the counter. Self-serve tea and napkins were available at the back of the restaurant. 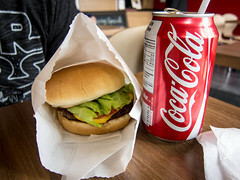 The restaurant was designed for a quick in and out. 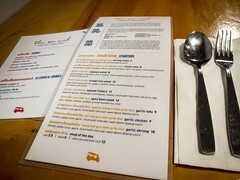 Food: As this was our first visit, The Hubby and I wanted to cover as much of the menu as possible. He ordered the Signature Lo Mein with egg noodles while I had the Signature Soup Noodle with vermicelli. 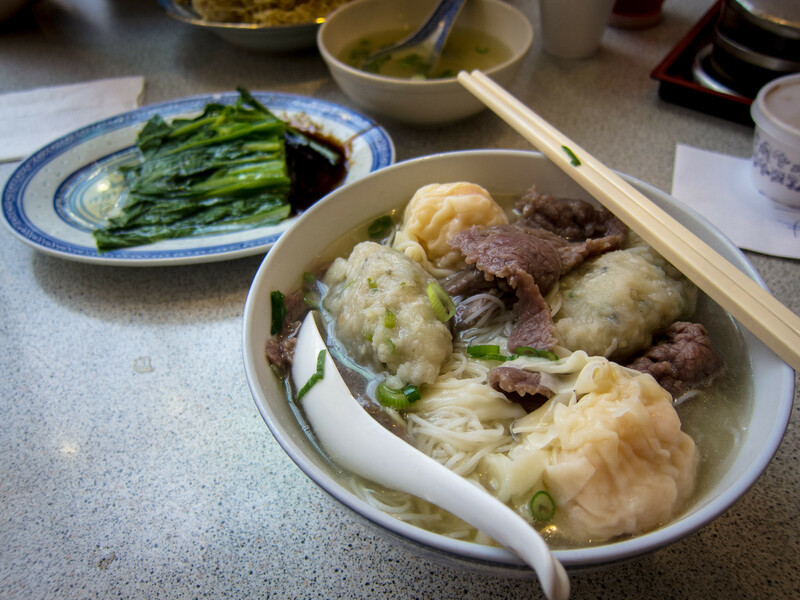 Both noodles were topped with beef, shrimp wontons and fishballs. We also shared a veggie plate side order ($2.50). The Hubby’s Lo Mein came with a bowl of broth to soften the noodles and based on how quickly he ate, it was a good plate. The noodles were cooked through but still had a great firm texture. My thin vermicelli noodles were cooked to a similar texture. Really we were sold on the toppings. The Shrimp wontons were the size of a baby’s fist, made of whole shrimp and tasted amazing. There was just so much flavour and the shrimp had a perfect springy texture. 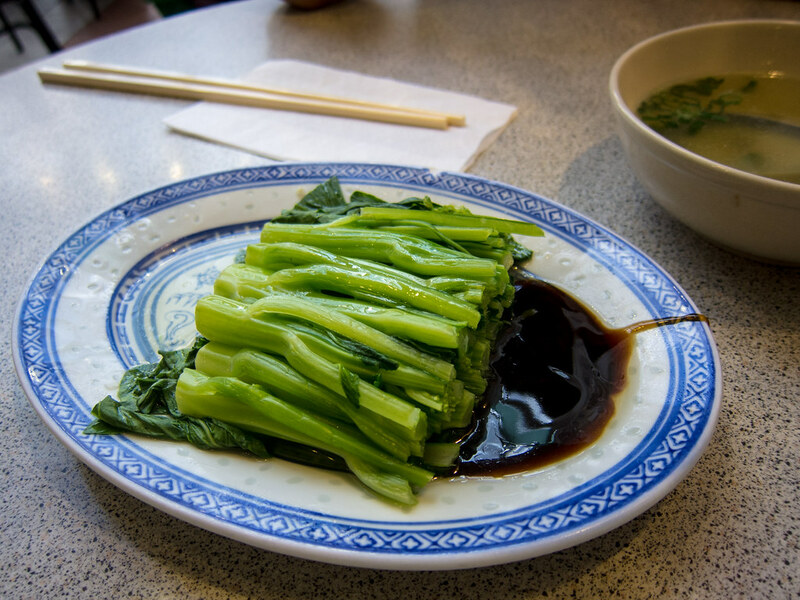 This was the best shrimp dumpling, wonton, etc we’ve tasted in the GTA. I also enjoyed the fish balls, again giant and made with real fish paste. The Hubby found them a little fishy and there could have been more seasoning. 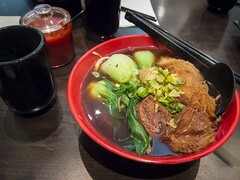 The slices of beef were tender and a generous portion, but really those shrimp wontons were unbeatable. Bags of frozen shrimp wontons at ~$1/each were also available for purchase. 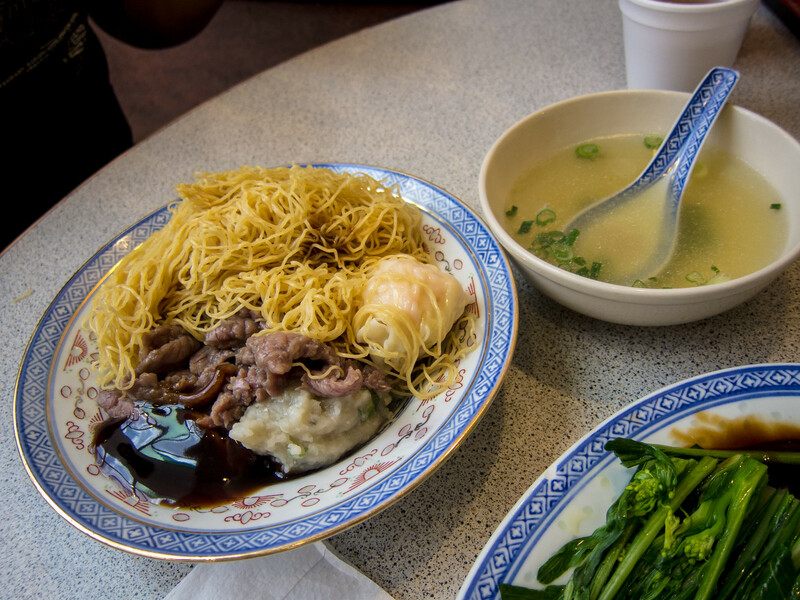 The bowl of noodles at Jim Chai Kee was authentic, delicious, comfort food for me. Simply seasoned, fresh ingredients and cooked just right. Even now, I’m still thinking about those noodles.